With outdoor furniture coming in all shapes and sizes, we specialize in creating custom cushions that are both attractive and stand up to the elements. Built to last, we use high quality Everdry foam and padding that resist both mold and mildew so you can rest assured that your cushions will serve you well over the seasons no matter what you (or the weather) might put them through. 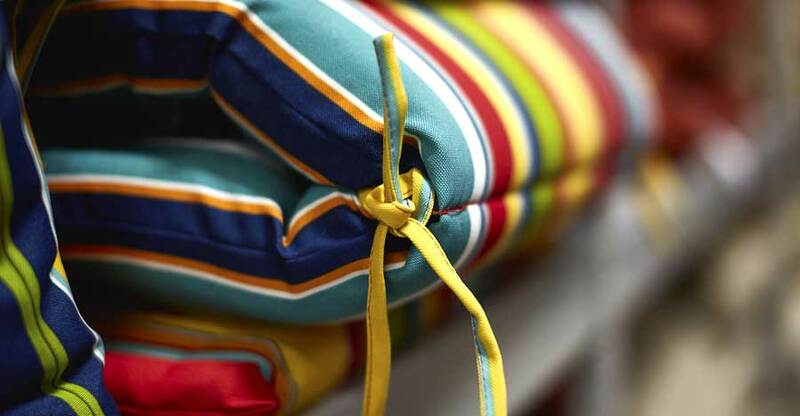 The final touch to any outdoor cushion is a quality fade resistant fabric. In addition to Sunbrella there are a host of other options from designer fabric houses such as Perennials, Link and Kravet Solei. Composed of 100 % solution dyed acrylic you can run the gamut from solid colors to large florals and prints to modern textures.